The release of Instagram Shoppable signalled a step forward for social commerce with a 1,416% increase in traffic for businesses using it. Now, in addition to this, Instagram has launched a whole new feature. 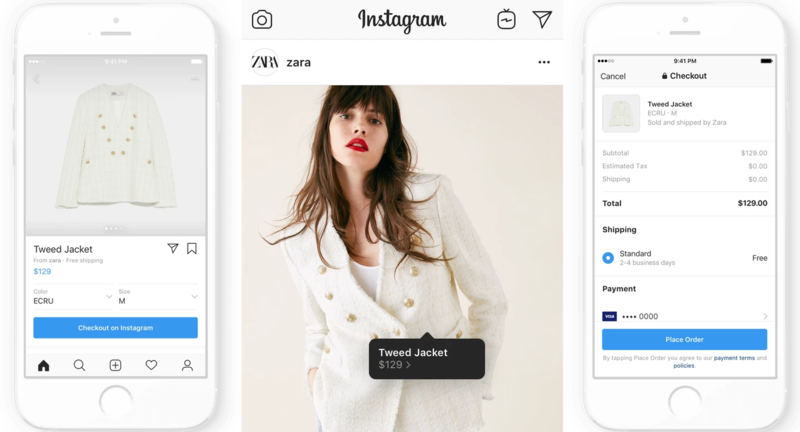 “Checkout with Instagram” allows users to purchase shoppable items without leaving the app or being redirected to the merchant’s store. Instead of seeing “View on Website”, users will see a “Checkout on Instagram” button. Check out buttons will appear on posts, stories and explore content. Users will then be able to track or cancel their order from a new “Orders” tab on their profile. They’ll also be given the option to initiate a return or contact the seller. Users will then be notified when the order has been shipped. The release seems like the logical next step, given that 130 million people are tapping on Instagram’s product tags. The new feature promises a smoother purchasing journey for users. This in-turn could deliver merchants a higher return on investment (ROI) because the steps to purchase are reduced. Unfortunately, the feature is only available for organic posts, not ads. It’s likely that this feature will extend to ads in the near future, given that this would further raise the value of the platform for brands and retailers. 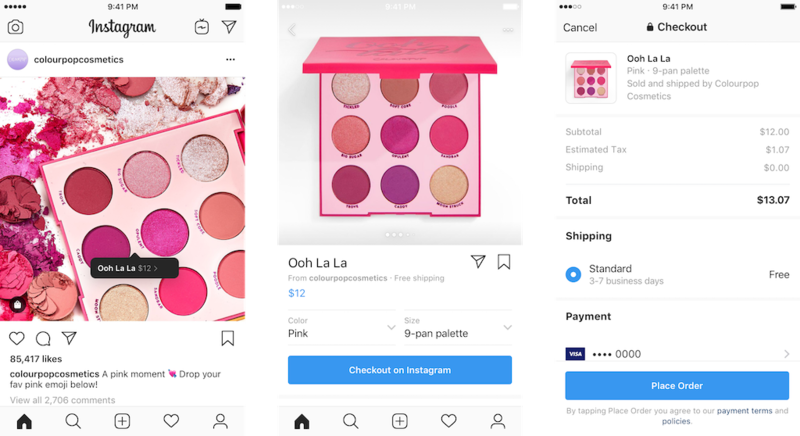 Instagram also announced that they’ll be introducing a selling fee so to “help fund programs and products that help make checkout possible, as well as offset transaction-related expenses” (TechCrunch). They haven’t yet disclosed how much they will be charging but mentioned that it will not change the price of the items for users. Users will be able to pay with PayPal, Visa, Mastercard, American Express and Discover. Instagram will then save these payment details for later purchases. The merchant will not have access to these payment details; only details necessary to complete the order. This means that merchants will have less data available to them, than if they were to purchase on their website. However, Instagram states that they will provide information on which sales it generates for them. With the launch of “Checkout with Instagram” in the US, it might not be long until checking out on social platforms becomes the norm. 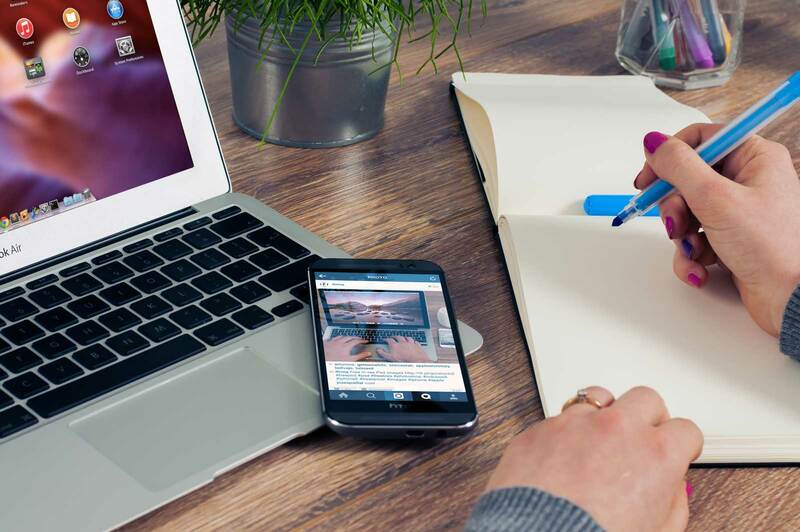 With Instagram’s growing popularity, it’s a great opportunity for retailers and brands. It will also be important for retailers and brands to sync their order systems (like on channels such as eBay) in order to seamlessly manage the order experience and prevent poor customer experiences. Intelligent Reach can lend a hand with this, so get in touch to have a chat about how we can help once it rolls out of beta.